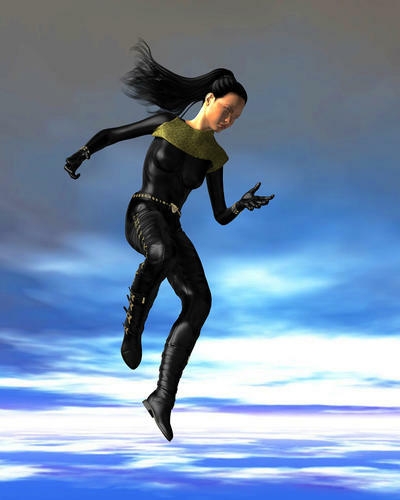 Anyone know if http://www.daz3d.com/shop/new-releases/barliecorn-for-aiko-4 is part of this sale? Just trying to figure out how long she'll be on sale at the current price. I don't know, but the text says the special 50% off deal ends 23:59 on 11 Dec.
Fun fact: If you add today's Snowball and The Barliecorn, and The Kids 4 Complete (http://www.daz3d.com/shop/the-kids-4-complete), you can get the whole lot for $24. I don't think its part of snowball savings, simply another deal that is running right now. How do you get it for $24? The three items show up over $50 in my cart. Now i'm kicking myself for getting so many Daz O's cuz orestes's crypt is on sale and if you buy it along with them bones 3, you get the bones set free.... and I can TOTALLY use that for a DND book illustration I'm working on.... it needs a crypt. Sigh. But already spent the budget! AUGH honestly didn't expect so much, I thought it'd def be all holiday stuff and now look at me regrettin! LOL. Is there a render thread for Snowball Savings? I haven't been able to find one -- although this would barely qualify for it, since I only used the collar-piece from Scarlet fG! Also used Xiao Wen V5, Dark Moods for Genesis'n'Night Moves, Pure Hair Wild, and the Supersuit with a couple of the shader presets. As nobody at Daz deemed it necessary to make an official announcement thread (that's why these threads about snowballs are all over the forum) - I doubt there will be a render thread. It seems there is no Texture Set? I found only three materials. This seems to be usual for the Wicked Series if there are no additional texture sets. It was forgotten to set BootR as compatibilty for the WGames Black Boots material file. Thank you I have now successfully made my first foray into the content editor! Does anyone know if there will still be a new item coming today? In that case I would delay my purchase of those other awesome items that arrived in the store like graphmate and the Utopia Labs by Stonemason for a few hours to buy everything at the same time. Something in the store did not seem to work like it was supposed to and I do not want to spread wrong information. 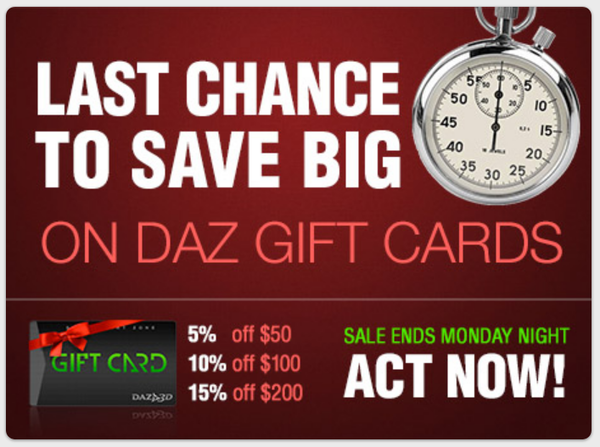 Quick reminder that today's the last day for 5-15% off on DAZ gift cards -- if you can get a $200 one for yourself before midnight DAZ-time, this means that everything you buy with it has effectively been pre-dicounted 15%, no matter whose it is or what other sales it's on. But is this the last day of Snowball Savings? I'm not seeing anything that says. Anybody know? Unfortunately I do not know either. My guess though is that it may last until the end of 2012. 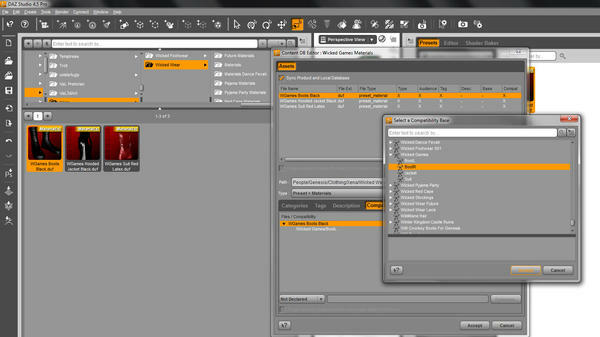 Do you have time to go on adventures between holiday dinners and have a hard time making all material presets of the Shorts show up in "Smart Content" and the Surfaces tab? It seems in all the holiday hurry the "Shorts" textures of the "Adventure Hero Textures" had been asigned "AdvH_Shirt" as compatibility base instead of "AdvH_Shorts". Attached you find a screenshot how you can fix that yourself quickly if you do not feel like waiting until the official staff comes back from their holiday adventures. 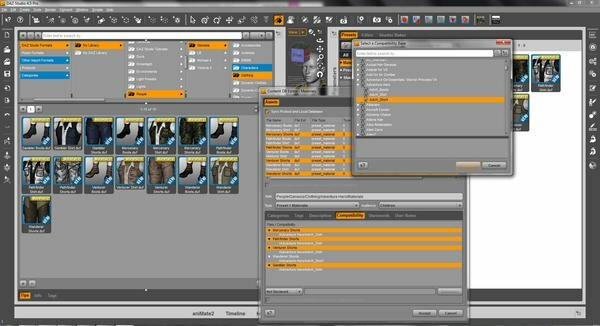 Just add the "AdvH_Shorts" as compatibility base from the Content DB Editor to all material presets of the "Adventure Hero Texture" shorts. You can also delete "AdvH_Shirt" as compatibility base from the shorts materials. But make sure that you do not delete them from the shirt materials as well. Notice also that the default material preset Wanderer shorts is set up properly.